Kratom is considered a “drug of concern” in the United States by the Drug Enforcement Administration, or DEA, as it has no legitimately approved medicinal uses and may lead to addiction with regular abuse. Kratom is derived from the plant Mitragyna speciosa and is commonly marketed in tablet or powder form as a “dietary supplement” or sold in head shops as “incense.” Even though this product is not a controlled substance by the DEA, its import into the United States is now closely monitored by the U.S. Food and Drug Administration (FDA), which regularly detains and denies shipments of this drug into the country due to its potential toxic effects with human consumption. Kratom can cause a stimulant effect when abused in low doses that may increase energy levels and combat fatigue. In higher doses, kratom may have effects similar to opioid drugs, causing sedation, euphoria, and a possible dreamlike state. When abused regularly, just like other drugs that act on opioid receptors, kratom may cause the body to become dependent on its interaction with the brain. When the brain is dependent on a psychoactive substance, physical and psychological withdrawal symptoms may occur when the drug is removed. In the United States, the American Society for Addiction Medicine (ASAM) estimates that close to 2 million Americans battle a substance use disorder involving prescription opioid painkillers while more than a half-million people suffer from a heroin addiction. Kratom is thought to be most similar to opioid drugs as it works on some of the same mechanisms and circuits in the brain. 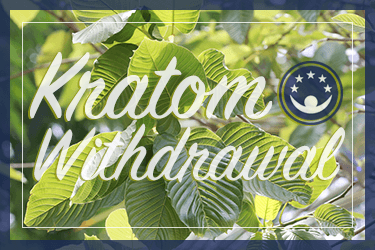 The opioid withdrawal syndrome associated with kratom can come with significant withdrawal symptoms that physically may be similar to flu symptoms and emotionally may include severe depression, drug cravings, and anxiety. Kratom, in some instances, may be touted as a “cure” for heroin addiction and withdrawal symptoms. It may be abused in a misguided attempt to wean someone off the powerfully addictive and illegal opioid via a “legal” alternative, The New York Times publishes. Kratom may seem to be effective in this manner since it still fills opioid receptors like other opioid drugs; however, using it with this intent won’t be effective and could be dangerous. Kratom itself may lead to drug dependence, and medical detox is generally ideal to withdraw from heroin or other opiates. In addition, psychotic symptoms may occur with significant kratom dependence, which may include hallucinations, delusions, confusion, and potentially even seizures. Depression, anxiety, insomnia, irritability, constipation, tremors, chills, sweating, lethargy, gooseflesh, nausea, headaches, weight loss, and darkening of the skin, especially the face, are also recorded as potential kratom withdrawal symptoms, the Nursing Show publishes. The National Highway Traffic Safety Administration (NHTSA) reports that opioid withdrawal, which kratom withdrawal is often likened to, generally starts within 6-12 hours of the last dose, peaking within 2-3 days, and lasting 5-10 days total. The European Monitoring Centre for Drugs and Drug Addiction (EMCDDA) estimates that kratom withdrawal, in general, lasts about a week for someone who is heavily dependent on the drug. The duration of withdrawal may be closely related to the level of dependency to kratom, which is likely influenced by several factors. Biology, genetics, and history of addiction play a role in the level of drug dependence, as do the manner, amount, and length of time abusing the drug. Other medical or mental health issues, any polysubstance (other drugs or alcohol) abuse, and certain environmental factors, such as trauma or chronic stress, may also impact the severity of drug dependence and therefore the timeline for detox and withdrawal. Detox is defined as the removal of toxins from the body. With many types of psychoactive and addictive substances – like benzodiazepines, for example – dosages can be lowered slowly over a period of time in order to minimize withdrawal symptoms and cravings. This is called tapering, or weaning off the substance. The goal is to slowly work on rebalancing brain chemistry over time instead of shocking it by suddenly removing the drug. When a drug like kratom is stopped suddenly after a person has developed a dependence on it, the brain may suffer a kind of rebound effect, where it tries to restore balance quickly, causing significant withdrawal symptoms. Tapering the dosage down slowly can smooth out the potential side effects of withdrawal, as the drug remains active in the brain for longer, giving the brain’s chemistry a chance to slowly regain its natural balance. Psychoactive drugs that create a “high” when abused often do so by increasing the level of some of the neurotransmitters produced by the brain to signal pleasure. When someone continually abuses these drugs, the brain may not keep producing or reabsorbing these naturally occurring chemical messengers at normal rates, causing a dependence on the drug in order to keep things balanced and for pleasure to be felt. When the drug is stopped “cold turkey,” withdrawal symptoms may be significant as the brain tries to right itself. It can take time for the brain chemistry to return to normal functioning without the drug’s interactions. Instead of stopping kratom cold turkey, tapering the drug’s dosage down slowly during detox may be preferable. Detox may include the use of alternative medications or supplements to manage withdrawal symptoms and drug cravings as well. Performed in a specialized facility that can provide around-the-clock supervision and access to medical and mental health professionals, medical detox can help to reduce the intensity of kratom withdrawal, often with the use of medications. This process should be managed and monitored by trained substance abuse treatment providers. The Nursing Show postulates that kratom dependence may be best managed with supportive care that relies on treating specific symptoms of withdrawal during detox. EMCDDA reports that antidepressants, anxiolytic, or anti-inflammatory medications may help to target symptoms of kratom withdrawal as may a combination of lofexidine and dihydrocodeine (an opioid pain reliever). Lofexidine is a drug designed for lowering high blood pressure, and it seems to be beneficial in reducing symptoms of opioid withdrawal when used off-label during medical detox for this purpose. If other substances are also being abused, medications may need to be altered to avoid complications or undesirable drug interactions. Since kratom is not a controlled substance, it is often not included in regular toxicology screenings that may be performed upon entrance into a detox program. It is important, therefore, to indicate to treatment providers if kratom is in your system, as well as any other drugs or substances, so that medications used during medical detox are safe and effective.